Frank Zappa once said, ?The only difference between a cult and a religion is the amount of real estate they own.?? It may be odd to quote such an ardent opponent of mainstream education in a paper such as this, but no matter your walk of life, the quote basically sums up most people?s dispute with organized religion. Under what requirements can we comfortably say, for example, if a group is a bunch of radical gun-toting tomato worshipers, or the divine prophets of the true sun-ripened savior? While that question is incredibly hard to answer, there is no better case of this ambiguity than Scientology. With its pay-to-grace system, questionable lifestyle restrictions placed upon its members and strong-arm censorship tactics of its critics, Scientology certainly seems comfortably blur the definition of how a credible religious organization should behave. I understand the characteristics of Scientology I mentioned may ring familiar in many other entrenched religions, but only in Scientology do we see these in obscene proportions. In its short 50-odd years, mountains of anecdotal evidence point to extreme societal and emotional abuse at the hands of the organization, as well as a still controversial death of one of its members. This is not to mention the continuing attempt to censor all who criticize their inner workings. The church?s actions have not gone unnoticed. In what is a fantastic example of empowerment the Internet gives to the common user, a grassroots movement of various Internet communities has banded together to attack, dismantle and ultimately destroy the institution. Calling themselves Anonymous, these vigilantes are a collection of various message board communities previously concerned with less noble feats such as raiding virtual online hotels, harassing the furry-fetish community and creating internet memes. So how does a seemingly disparate collection of strangers plan to declare war on a far-reaching organization that claims many of America?s celebrities among its ranks? 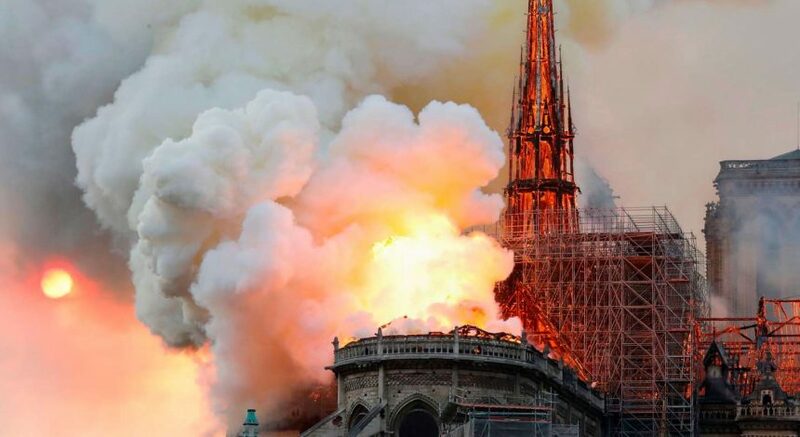 One of the main plans of attack is to assail the church?s websites with information, a method known as a denial of service attack, which overloads the website with user requests, rendering it unavailable for viewing. Unavailable for viewing? Isn?t that nearly the same type of censorship Anonymous condemns Scientology for employing? Indeed, Anonymous does acknowledge this discrepancy, but it claims that since Scientology can hardly consider itself a religion and is merely an evil business venture, no form of religious persecution or denial of free speech has been committed. Claiming this would imply the definitions of religion and cult are indeed so clearly defined and that Scientology unquestionably falls into the latter category. While most people of sound mind can agree this is the case, trying to forcefully press an ideal rather than organically change public opinion often ends disastrously, and vigilante activism such as Anonymous? does provide the church with evidence it is being unfairly suppressed and persecuted. No matter the organization and its motives, it is everyone?s right to be able to access all information and be able to make an informed decision on their own. While Scientology certainly seems to be unable to play by these rules, Anonymous? actions, even if self-realized, are hypocritical and violate ethics in the process of obtaining the ?greater good.? Rather than falling to the level of the church, Anonymous should instead reprioritize attacks from the censorship of information and instead focus on its dissemination. Some byproducts of Anonymous? attacks were the release of secret internal church documents, as well as organized protests outside the church?s locations, both of which are not only much more effective in the goal of the church?s eventual death, but also allow the avoidance of hypocrisy.? The end of the church will not come through the blockage of its message and actions, but rather the education and knowledge of them. It does not need help in its destruction, because, let?s be honest: Scientology embarrasses itself considerably more than any of us ever could. Charles Lim ([email protected]) is a junior with no declared major.